We will teach you the very basics of Judo from break falling to throwing and ground hold downs, then work your way up to take part in Gradings and competitions at a pace that suits you. We will help you build confidence in yourself and your ability within the Dojo. The Club is run by Rob Alloway, a 2nd Dan black belt who has a club coach qualification. Rob has also been a 5 times British Masters Medallist. Alongside Rob, will be Rich Morrish, a 1st Kyu Brown belt and holds a Senior Instructor qualification. Rich and Rob have successfully coached students who have gained British Silver and Gold medals at special needs events, along with National Gold and silver medallists. Recently 2 SN members traveled to Holland to compete at the world games and both gained silver in their categories giving them the rank of 2nd in the world. Other accolades include National Welsh Champion, National Closed Champions, National Open Champions and several other title wins. Kazoku-Kan train every Friday from 18:30 - 20:30 at Physique Fitness which is on the Berry Hill industrial estate in Droitwich Spa. We take students from ages 5 and above for each session from novice to advanced. Everyone is welcome and treated fairly and with respect. There is no contract to sign, but if you decide to continue with Judo you must purchase a License that covers you for the year. We also cater for both Children and Adults with special needs and can work out a structure that works for their individual needs. Our staff are all DBS checked and fully qualified, with trained first aid trained staff at hand each week as well. Our instructing team has over 30 years teaching experience between them and have trained students to grade and take part in competitions successfully over their time in a teaching role. New Starters will be required to wear clothing that they don't mind getting pulled around as this is an integral part of Judo. Judo Gi (Uniform) will be able to be purchased from us directly and prices can be found on our Facebook group page. If you have any questions, please don't hesitate to contact us and feel free to turn up on any Friday evening to see what we are all about. Would you like more information on hours, classes and programs available at Kazoku-Kan Judo Club? Please contact the school with your questions. Update the details, Write a Review or Report Error of Kazoku-Kan Judo Club. This Chart shows the Martial Arts Styles offered most in Droitwich Spa, UK area. 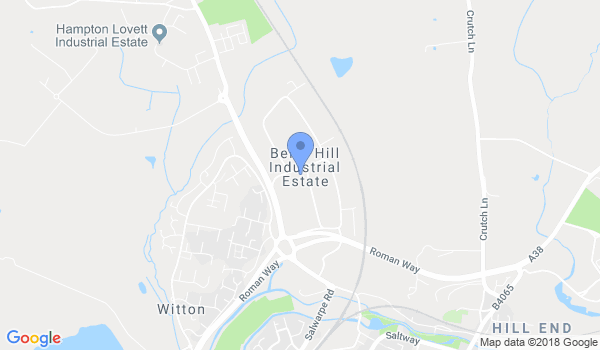 View a list of Dojo in Droitwich Spa, or enter your address below to find schools closest to you.